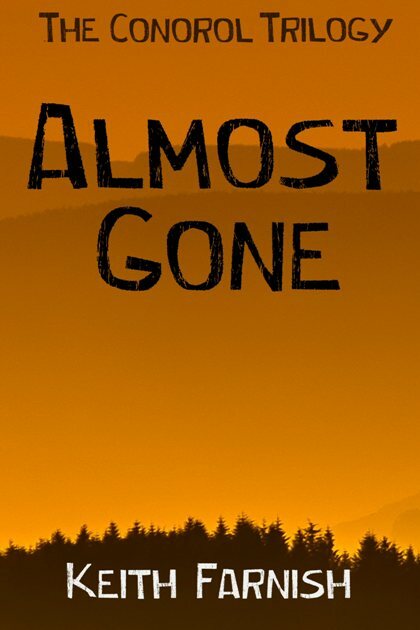 My novel, Almost Gone is set in a world that has only known tribal culture, and alludes to uncontacted tribes, a true rarity in our modern world. I’m standing on a stony riverbank, looking across a wide pool of almost still water. Facing me are trees of every type, reaching and pushing through each other as they cling to the cliff-side. To one side a slender wisp of smoke curls into the bright white air and vanishes. Eoran is next to me, blinking again and again in the overwhelming skylight, and I notice he is also looking straight across the water, his eyes widening as sounds of laughter drift from the opposite bank. There is movement: pale limbs and hair, distant figures barely clad or naked, splashing and diving. A hand falls on my shoulder and I turn to see Merod, her face full of joy. “Isn’t it wonderful?” she whispers. “What do you mean?” I reply, unsure of what is happening. 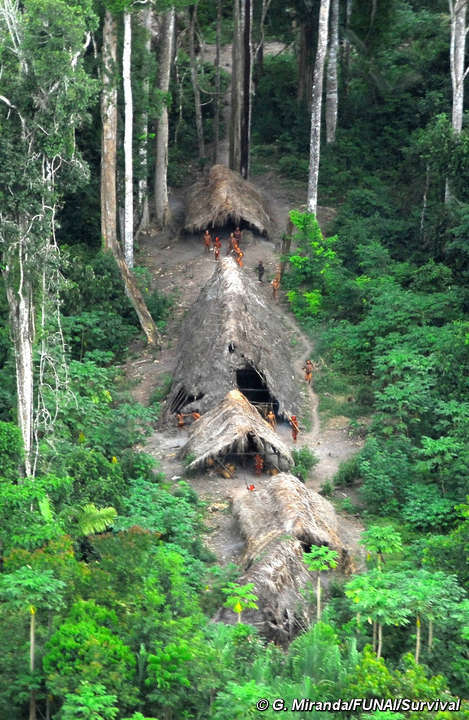 Survival International make significant efforts in ensuring uncontacted tribes are left alone, and are the social organisation I have the very highest respect for. As such, until further notice, I am going to be donating 100% OF ALL PROFITS from the e-book sales of Almost Gone to Survival International. You know, nothing is ever 100% right, even when you get to the point when you can’t do anything else at all, when there isn’t a second (or a heartbeat) left to change a single thing. Even then, you always find something isn’t quite how it should be. Right down to the semi-colon or the apostrophe. Actually, punctuation really is a big deal when you want something to read in exactly the right way – to tell the story how you want it to be heard, what you hear in your head. 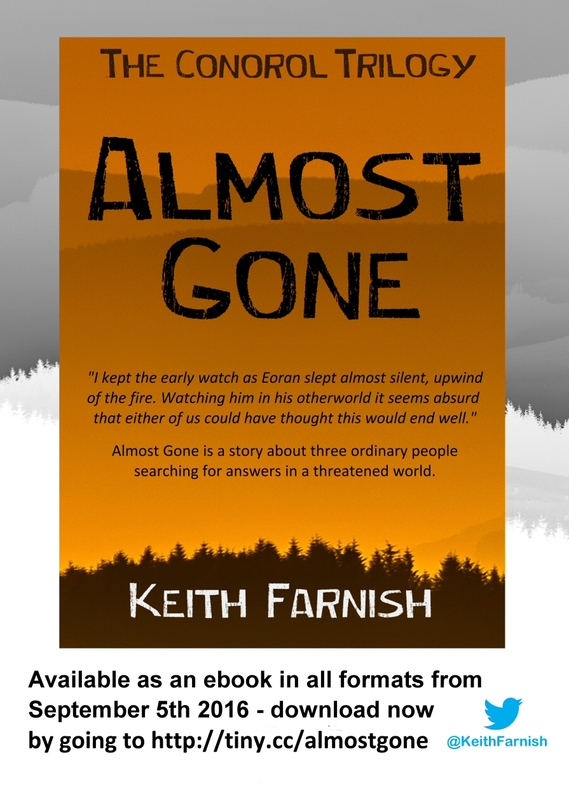 This afternoon I have been editing, for the many-eth time, the Ebook manuscript of Almost Gone, as it’s just five weeks until it goes live on Smashwords. Oh, what a strange field of semi-colons I faced! In MS Word, you find things using Ctrl+F, which I repeated time after time, first with semi-colons. It’s like I have some kind of tic that makes me hit the key to the right of “L”, randomly spewing out ;;;;;;;;;;;;;;;;;;; until my index finger is satisfied. What I ended up with, after hours of editing was a lot more full stops (thanks to Brian, an old school friend for repeating his mantra), quite a few more commas, a few more en-dashes (they have their place) and a manuscript that is just a bit closer to how it sounds in my head. Then I decided to check for rogue apostrophes in the word “it’s” – you know, where you put one by mistake when referring to gender-neutral ownership of a thing. In this case I only found one, but also realised that word, “it’s”, was overused to the max. I got rid of about twenty, with suitable replacements, and again, it reads better. 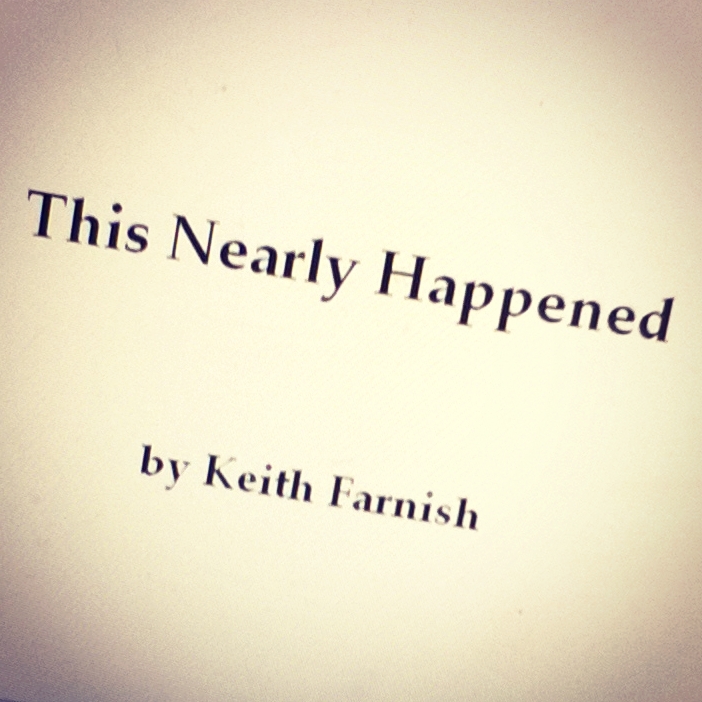 That version has now been uploaded to Smashwords, and…yes, it’s uploaded fine, and their strange algorithms are all happy with it. You can read the first 20% for free by going to https://www.smashwords.com/books/view/645194 if you like. Don’t forget, the launch date is MONDAY 5th SEPTEMBER, and you can get the book for half price if you use the code MX73K when ordering in advance. Well, here it is, the front cover! You will probably notice a theme here – the wonderful photo that graces the Conorol website is also the basis for the cover, with a little text in a suitable font, and that’s it. So that’s the easy bit done. Making the book visible to lots of people, pre- the launch date is the hard bit. There’s now an interview on Smashwords, which you can read here and maybe find out some things you didn’t know. It’s going to be a long summer, putting out feelers to all sorts of social media places and other more conventional places such as local papers (“LOCAL AUTHOR FINDS INSPIRATION IN THE BORDERS”) and whatever else I might dare to do. There’s even a discount code at the bottom of the website, which means you can pre-order the book for 50% of the normal selling price, which in itself is absurdly low, but as I say in the interview, it was never about making money, just putting some food on the table perhaps. There will be lots of updates to come, but so you don’t get bored, I’ll try to keep them interesting – front cover of The Guardian Books anyone? A long list of agents who all say the same thing is one of the most disheartening things for an author who aspires to be published in the world of mainstream books. My list is getting long, and the responses are pretty much all the same, along the lines of: “Sorry, I don’t think I can find a market for your book.” Of course, those words aren’t actually used, instead there are very polite template replies saying the agent didn’t feel in love enough with the book, or it didn’t fit their list, or they have to be extremely selective, but if you boil things down to the function of an agent – to sell a book to a publisher – then it’s really that. I had resisted the idea of self-publishing, then on Saturday I was looking to run a few copies off using my favourite PoD site, Lulu, in an effort to get physical versions into the hands of a few people, when I ran across Smashwords. It’s to my shame that I didn’t know much about the company, but after doing a little research I realised there was one very interesting option open to me: publish eBook only, giving lots of people a chance to read it, but leaving the physical book option still open to a conventional publisher. Faced with the prospect of following their very strict (for good reasons) guidelines, I found someone who does a conversion service on Word documents, and paid them the small fee. In a few days the converted document will be getting back to me, and then I’ll have to start working out a strategy for a launch, set up pricing, and speak to all sorts of people who might be interested in promoting it. First, though, I need to design a cover…and it’s done. A few weeks ago I was contacted by one of the agents I submitted a sample of Almost Gone to. The feedback was positive, but it was clear I would have a lot of work to do before they were happy taking me on. There were some very useful points such as as ensuring the story was much clearer; that prologues were generally not a good idea; that back story should be treated carefully and with caution. There were also a few other things I didn’t quite agree with, and one thing that led me to make a very major change to the book, but more of that later. What was especially good was that an agent was actually interested in my writing – they liked it, which makes me not a crap writer. Taking everything on board and being assured they did want to see the whole manuscript and not just a sample reworked, I spent the next two weeks breaking everything down and reassembling it, checking for errors, tightening up the beginning and generally making the book more readable. I also removed four chapters. Up to this point there had been four “mini” chapters which had required a greater amount of creativity and off-my-head thinking than almost anything else in the book. The Ancients had their own voice, told from the point of view of Merogilal, in a clipped, earthy and rather odd language. It felt wrong to remove it, but on the other hand, jumping into a world the reader would be unfamiliar with, from a world they were already unfamiliar with was probably a step too far for most publishers, so I found a way round the language, while ensuring the Ancients existed in the Conorol world. Happier with the book than I had ever been, albeit with a few literary sacrifices along the way, I sent it back. After two weeks I called the agent up – they said they would try and read it soon. This morning they emailed and said they wouldn’t be taking the book further as, while I had made significant changes, there wasn’t nearly enough plot in the book and the story wasn’t fast-moving enough. This is what publishers seem to want, but it’s not what happens in the Conorol world; there is no hurry, we have to learn and we have to connect, and all in the amount of time it takes to do so properly. So, I am not bitter; if an agent doesn’t want the kind of novel I write then that is entirely their prerogative. If a publisher only wants something that immediately jumps to the top of the best-seller lists because it fits a type then that is entirely their prerogative. It is a business, after all. I am always wanting to be a better writer, and willing to take on criticism, but I am also prepared to wait until someone wants what I am willing to offer rather than change everything in order to sell something that is not me at all. 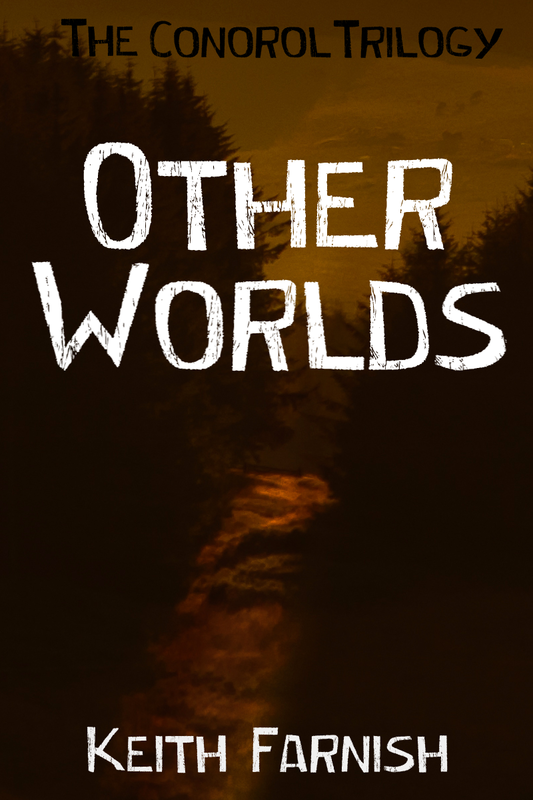 On 14th January the last few edits were completed on the latest draft of Other Worlds, meaning that there are now two books in the Conorol Trilogy pretty much ready to be offered to agents. This is a rather nice position to be in, even though nothing is anything like guaranteed in terms of getting published. A normal person would be content with this and pitch the first book to agents, with extracts from the second book – as a couple of dear people suggested. I am not normal (I get this a lot). After a short discussion with some neighbours over a showing of The Descendents – a pretty good movie about how family and culture should always trump money – I left it in their hands as to whether I should do the aforementioned, or continue with Hollow Ground. After all, the two (yes two) prologues have already been written and there’s a plethora of ideas straining to get out. The consensus was to carry on, so that’s what I’m going to do. Hollow Ground will begin in earnest from late next week, once I’ve got through splitting a huge pile of random logs we had delivered yesterday due to running out of seasoned firewood.